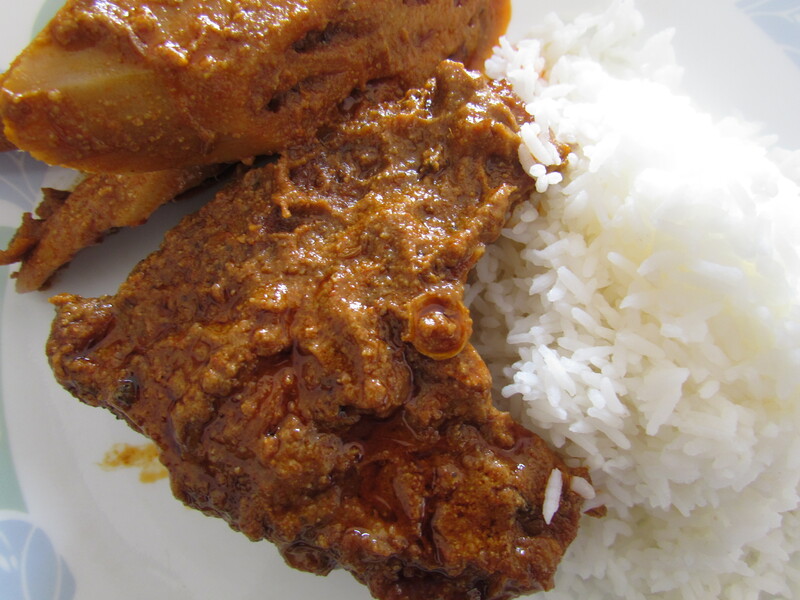 Outstanding ‘home cooked’ kashmiri Hindu cuisine ‘take away’ where food has to b ordered a day in advance. The wait is more than worth it. Food is given in these packaging. 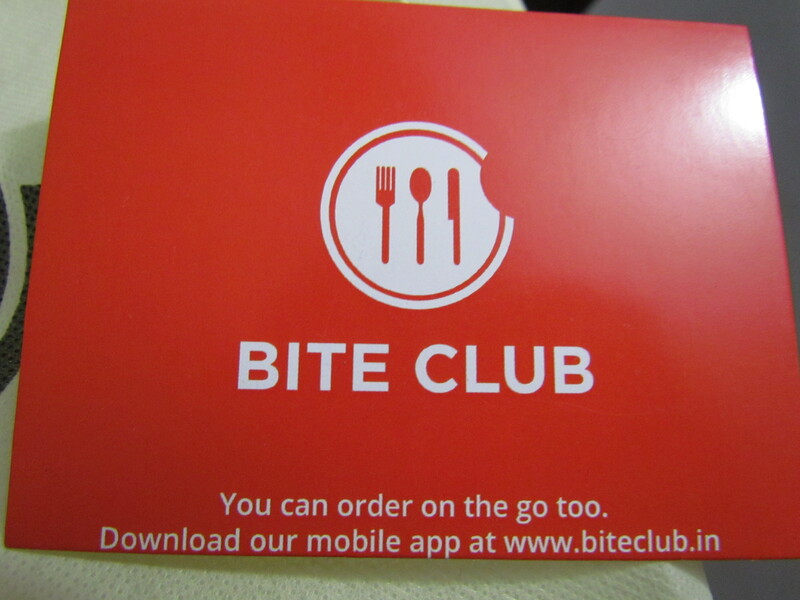 Easy way to order food from here for 2 people is thru Bite Club. They also have an android app but ios is not yet started. sorry, I just cud not flip this in wordpress. Pls read inverted. bill amount comes written on the packaging. this amount mentioned is for day 1. 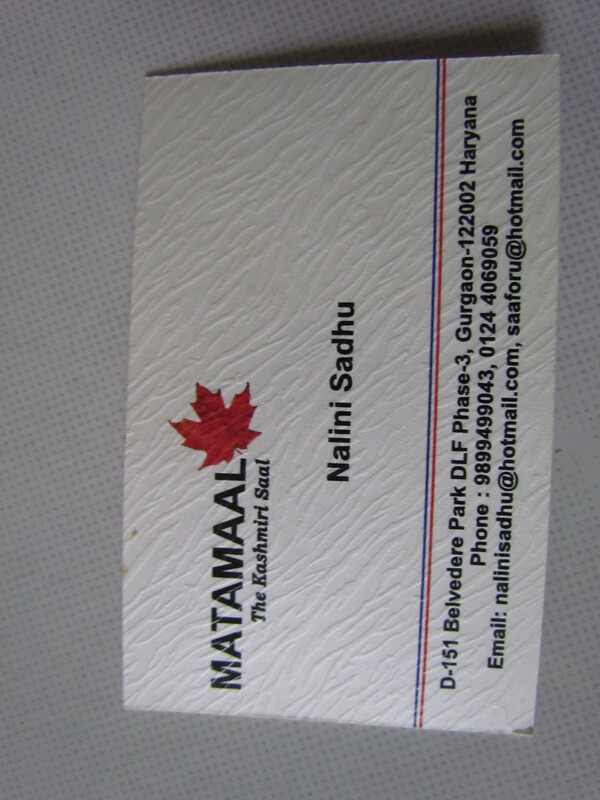 Got to know of this place thru an email invite by the Owner’s son to eat out & review the food. As usual, as per YUMMRAJ’s principle refused the invite and said that we will eat in anonymity some day some time & pay for it also …………. & then write a review. 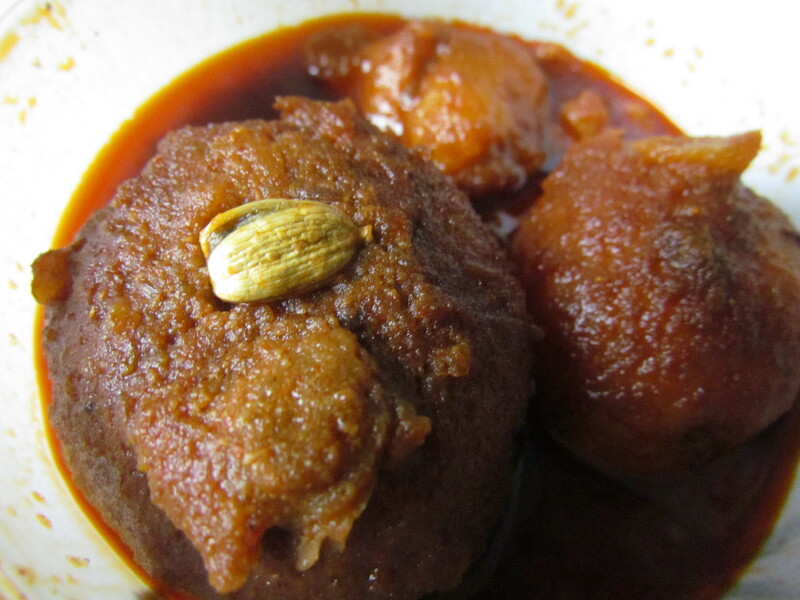 Matamaal in Kashmiri means ‘Naani’s house’- Reminder of the YUMM home cooked grandmother’s food. Home food is home food – commercially made assembly line food can hardly beat an outstanding home food. But u need to know someone who is a great cook & be invited at his/ her place. If u r not that fortunate, u end up going to a Commercial establishment. Well, here we came across an option in which u have the best of both worlds. Home cooked food that u can buy. So lot of restaurants nowadays name dishes that say ‘homemade’ or ‘home style’ or ‘Grandma’s recipe’ etc but there is some extent of mass production that happens & final result might not necessarily end up the way it is at home. The only time a restaurant food is as good as home is when the person making it takes pride in it & does not do it just for a salary. This takeaway joint was not like the pseudo ‘home made’ claims. Food here is geniunely ‘home made’. It is a ‘take away’ run by a lady who is herself into cooking the food. Food can b ordered in kilos (1 kilo onwards). 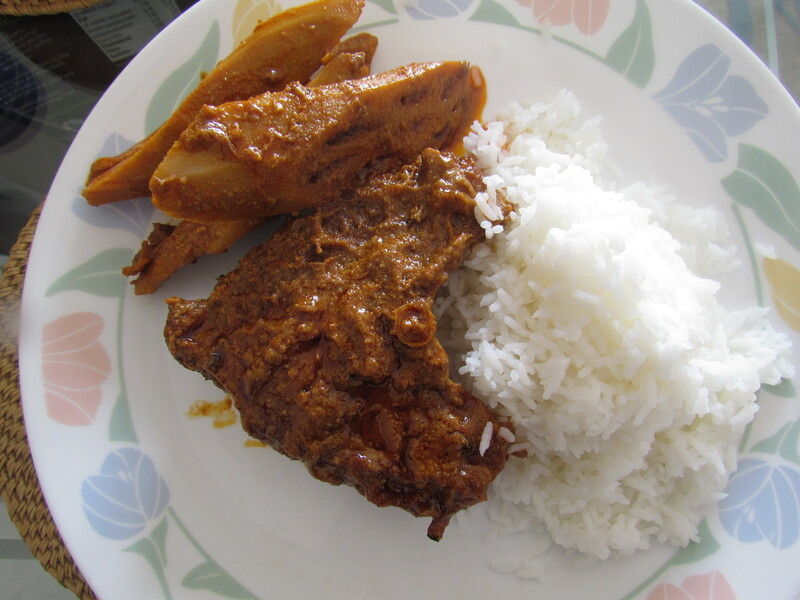 In case u r stumped here is how it sounds – ‘Pls give me 1 kg of Roganjosh, 1.5 kg of mutton biryani & 1 kg of dum aloo’. Did that put u off? It did not put us off. We were two of us. So thought of options like call friends / share & pool it with friends / order at work place & have team lunch etc. but we finally decided to try the Indian ‘pleeeeease khana de do’. For placing order, my best friend called the lady as a normal customer & explained how we wanted to taste a lot of good Kashmiri food & she was nice enough to let us have half portions of all the dishes. 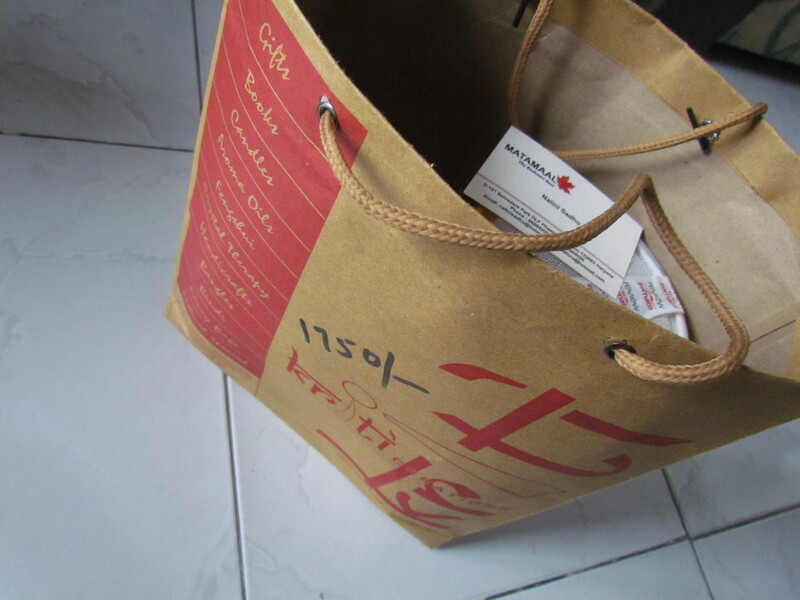 We also cooperated in the process by tagging along with her existing orders which she was making for others anyway. We also were refused food on one weekend coz the lady was not at home on that day of the weekend – Like all of us, she had some work in Delhi. U can see this situation as ‘a glass half full or a glass half empty’. I see it as a ‘glass half full’. The fact that she is personally into cooking the food, she refuses to let other people substitute for her. That ensures consistency of the amazing dishes. All other interactions with her were also very human. The interactions were not the typical ‘customer – restaurant’ kind of formal relationship but they were more on the lines of ‘one human to another human’. As mentioned above, from nov 2014 the food here is also available to order for 2 people thru bite club. No need to order extra any more. 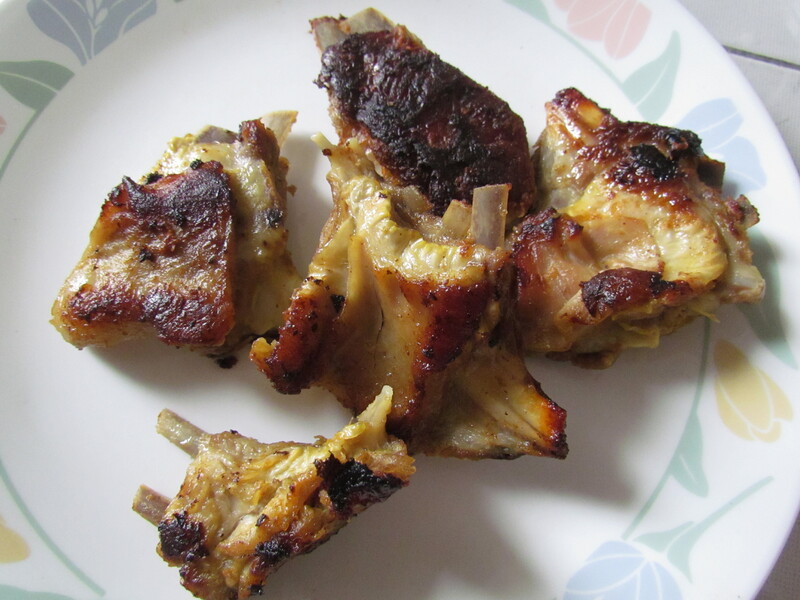 We started our meal with Kabar gah – mutton ribs marinated in raw spices and milk, served fried. This was very similar to the Tabak Maaz. 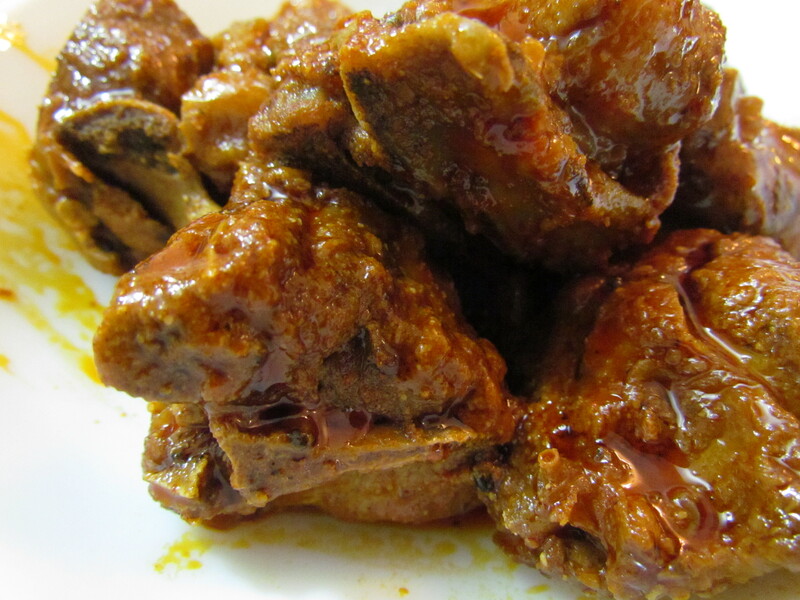 The rib pieces have meat and fat in layers. A bite into it was pure delight – soft, juicy & YUMM beyond expectation. The outer layer was burnt & that gave a super texture & flavor to the dish. 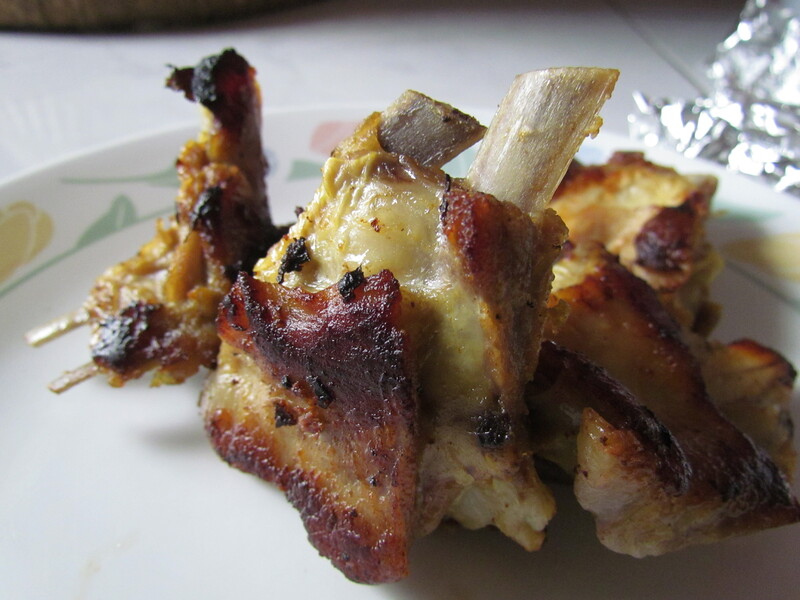 This was better than all Tabak Maaz I have ever had anywhere in Delhi NCR. The flavors of meat & those of spices were simultaneously there. There was no iota of rubberiness (which tends to be a problem with Tabak Maaz not cooked properly) & that made the whole experence amazing. 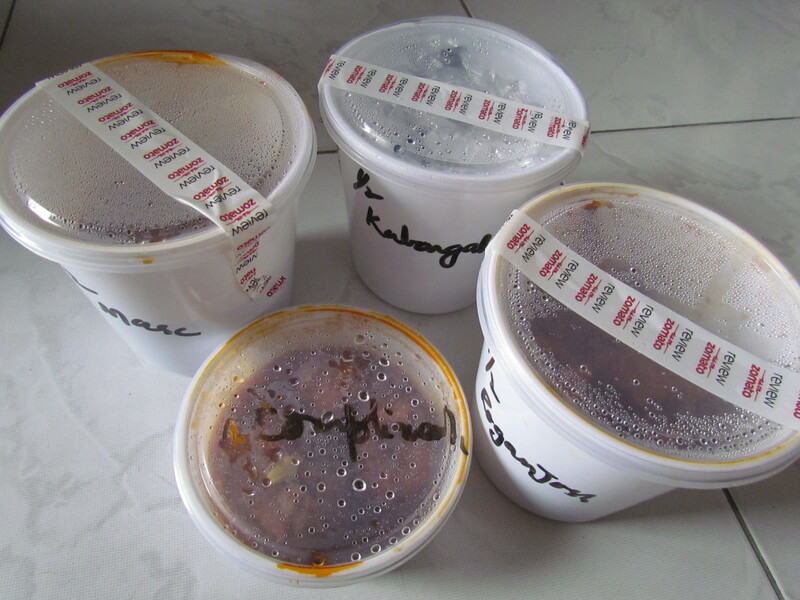 As we entered the curry section, let me tell u that most curries here have a bright red layer of oil floating on the top – u see it as soon as u un-lid the plastic container. If u take a spoon of that red liquid, u will get no taste but only flavors. 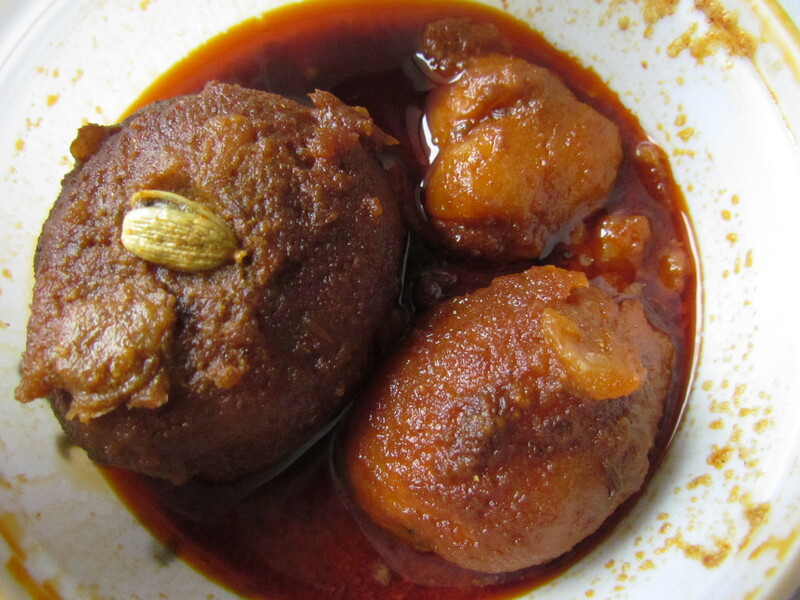 Reason – since there is a time lag between packing & eating, the masalas go to the bottom & oil floats up. If u just take the masalas, it wud not taste that great. Reason fr this is the basic Physics of ‘sedimentation’ that we learnt in standard 4. Best option to enjoy the curries is to stir the floating layer on the top with the masala layer at the bottom. If u feel the oil is a bit too much for the dish, just decant the extra floating layer off & mix the rest of it to the gravy b4 serving. 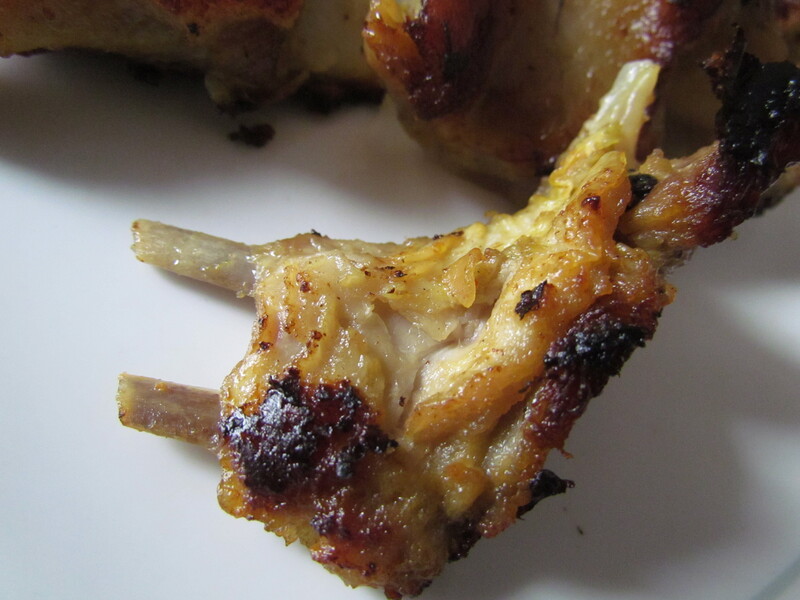 Another interesting thing was that the meats in each & every gravy had a character of its own. The themselves tasted great & also had flavors emanating. They were surely not plonked into some gravy as an afterthought. Dum aloo had a bright red gravy that did not taste as fiery as it looked like. That’s how Kashmiri Mirch is. The potatoes were full size – not cut into pieces. Soft & nice. Flavors of spices were evident. A better quality of potato cud have made it tastier not that this potato was inferior. Rate it 4/5. We did not pay for this dish as The Lady gave us a small complimentary portion. Reason – Even 500g of aloo was too much for 2 people. So we requested for a smaller portion. She just did not charge for the small portion. 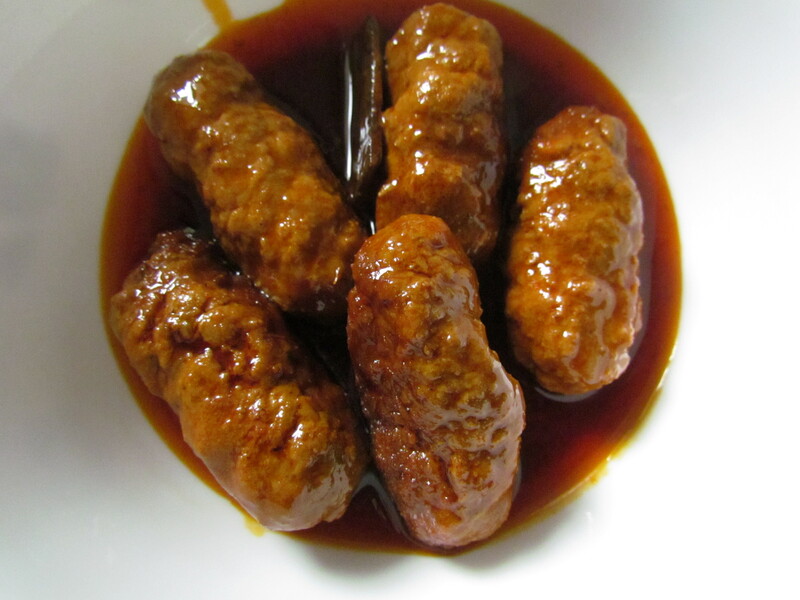 We also ordered Masc – spiced meat koftas cooked in spices and Kashmiri red chilly. I have had the same dish at a Kashmiri friend’s home. Both were equally good – actually brilliant. 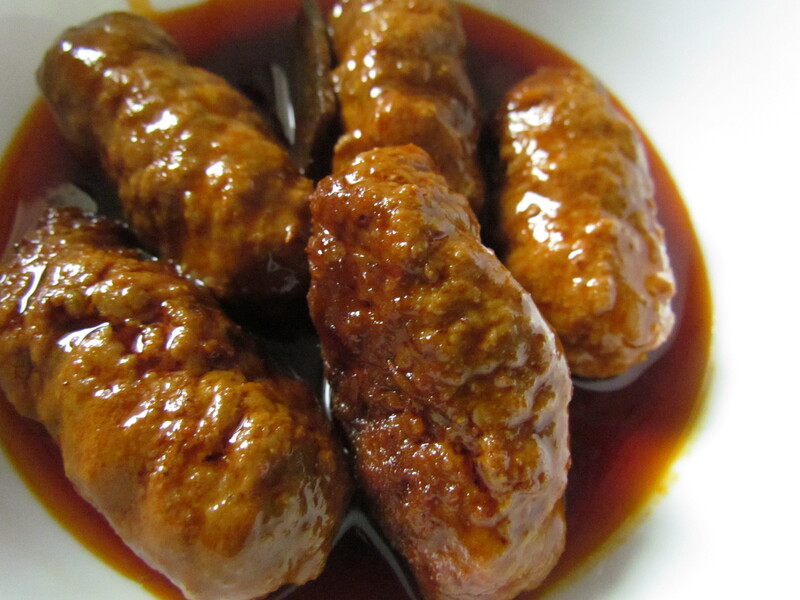 The meat Koftas were handmade, lumpy, the spices were mixed to the meat, the surface of the koftas were un-uniform, they had rough edges but very were very good to taste. Infact it tasted so good coz it was not machine made. The unevenness was a part of the texture that influenced the taste. We then had lamb Roganjosh. This amazing dish is one of the most bastardized dishes across the Globe & restauranters have abused this name beyond imagination (in some cases). Just about any stupid gravy is often referred to as Roganjosh!!!! 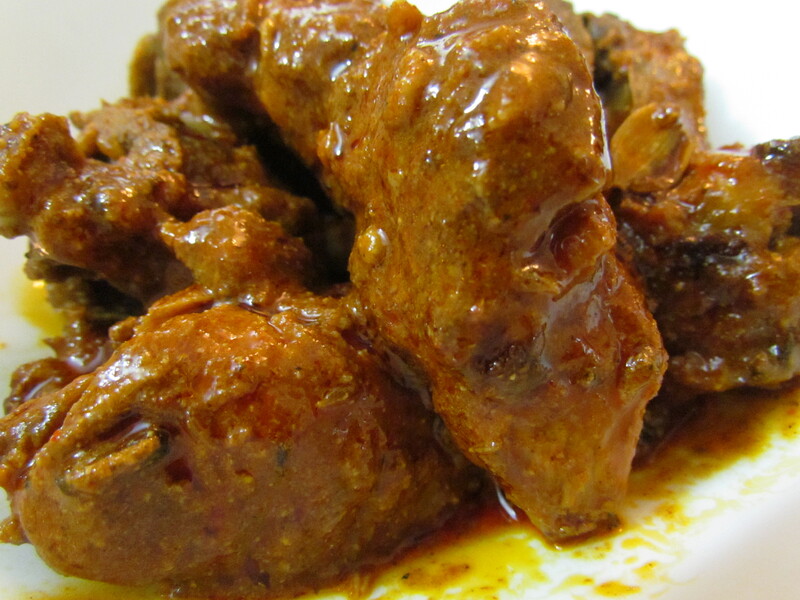 The Lamb Roganjosh at Matamaal was par excellence. Bursting out with flavors. 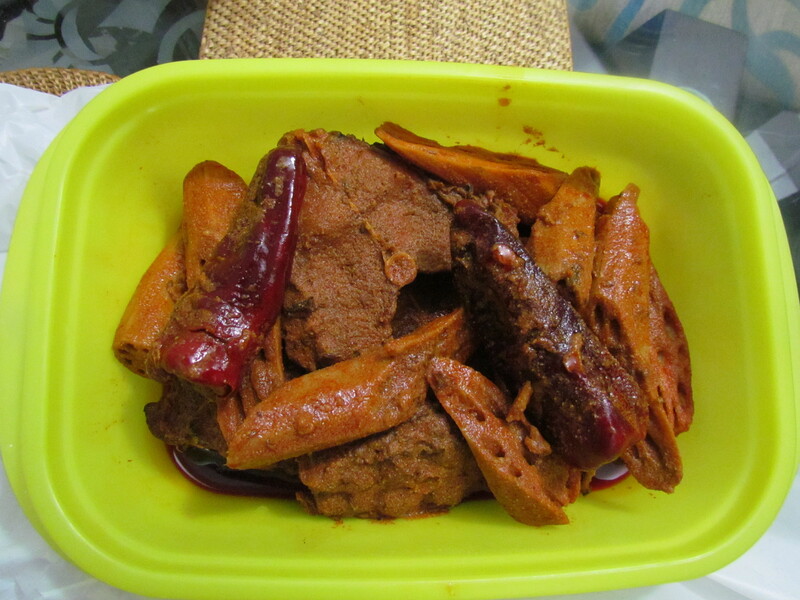 It had the remains of coarsely ground spices. Seasoning was perfect & the taste was just too good. 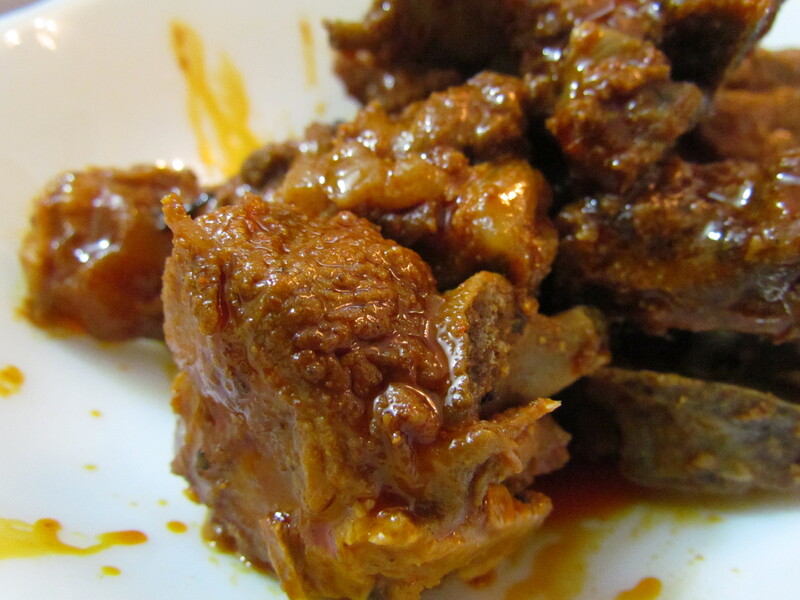 As mentioned above, the meat pieces were themselves super YUMM. Rate it 4.5/5. Gosth Yakhni had a curd base & was pale in color. Tasted super duper YUMM & had very good flavors as well. Taste of curd cud b felt & flavors of good whole spices. Rate it 4.5/5. Rating of Food at Matamaal averages out to 4.5/5. I will keep ordering from here. Look forward to gather friends to try the mutton pulao & also the biryani which is made for 6 people in a batch. What r u thinking? We ordered Monje Haaq thru Bite Club. 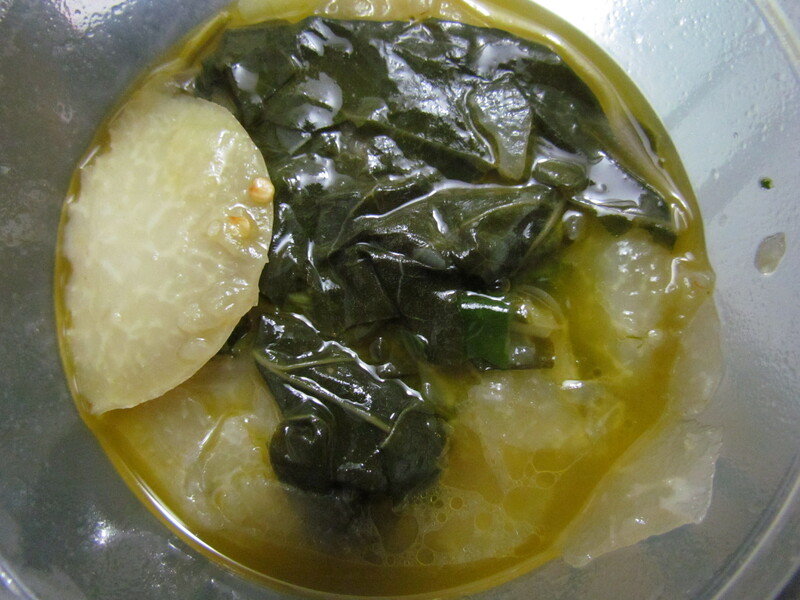 It was a thin stew of ‘gaanth gobi’ & leaves made in traditional Kashmiri style. 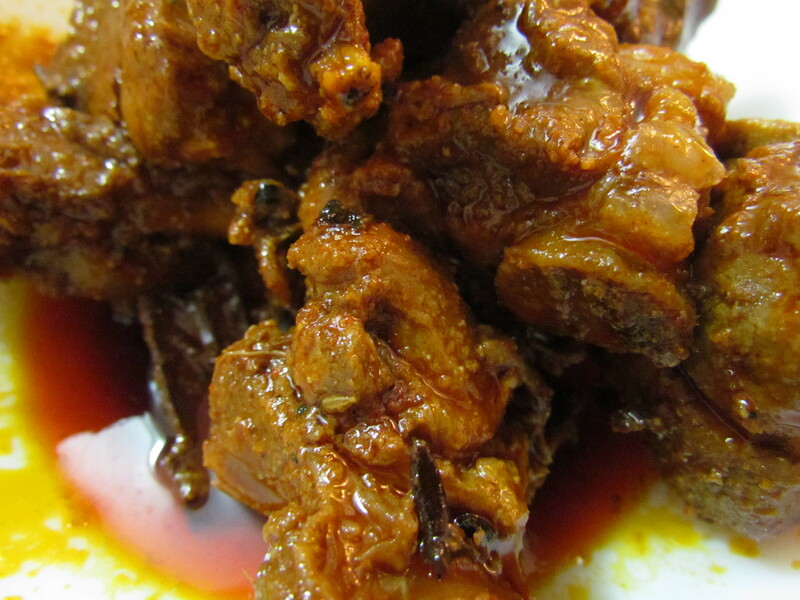 It is a very common food in Kashmir but not too many people make good Haaq in Delhi. The super simple curry / soup was a marvel – intense flavors, rustic taste. 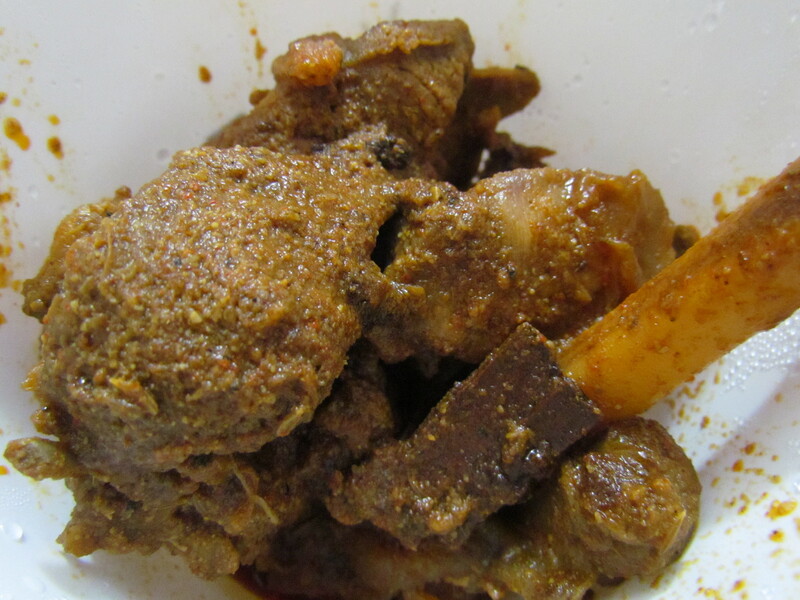 Rate it 4.5/5 – The best Haaq / Monje Haaq I have ever had. 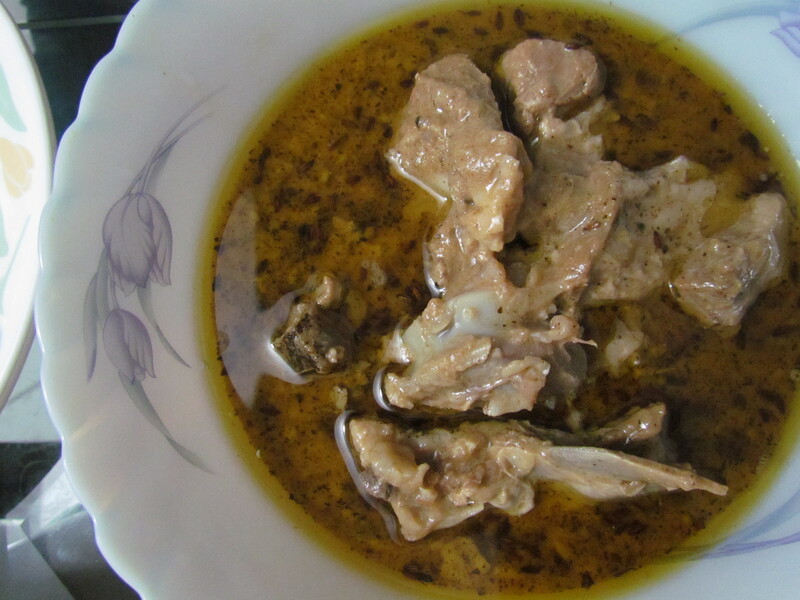 We also tried Kashmiri fish preparation. Deep fried fish cooked in a very spicy (aromatic / not hot), super flavorful & very tasty. The gravy was bright red in color & was just YUMM. Rate it 4.5/5. 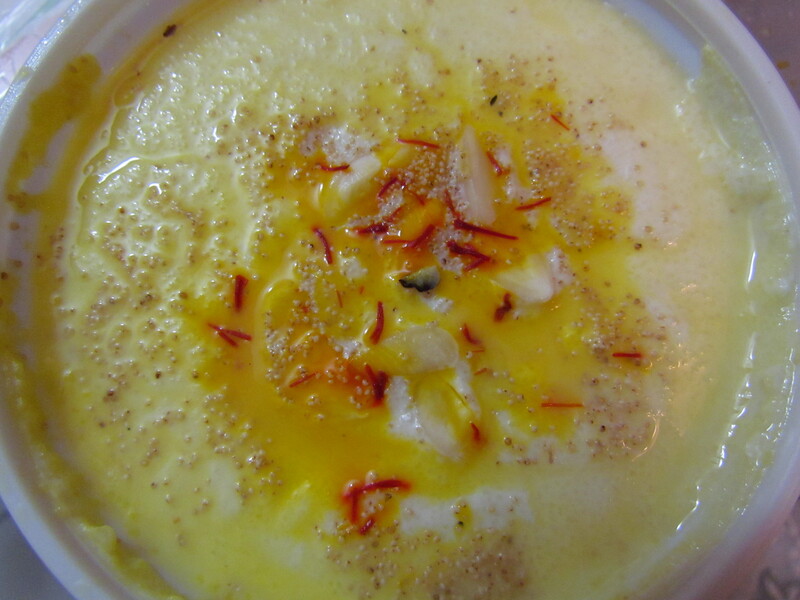 For dessert we tried Kashmiri phirni. Moderately but not optimally Thick, YUMM & flavored with kesar. 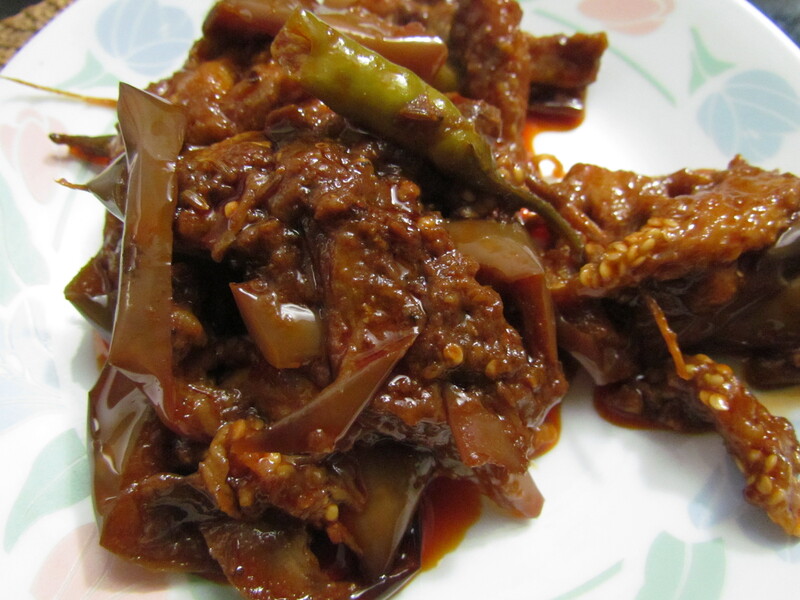 yummy … not at all good to read about good food at midnight … mouth watering dishes …..